I wanted to give a shout out to my friend and fellow blogger Victor Volta of The Mountain Journals. He also writes about hiking local in the San Francisco Bay area for the Examiner.com. Last week I took a much needed day off and hiked with Victor and my friend Bret's dog, the fabulous Freddy Freckles (Freddy is so cute he has his own Instagram page) in the Marin Headlands -- check out Victor's beautiful photos from our Headlands hike. 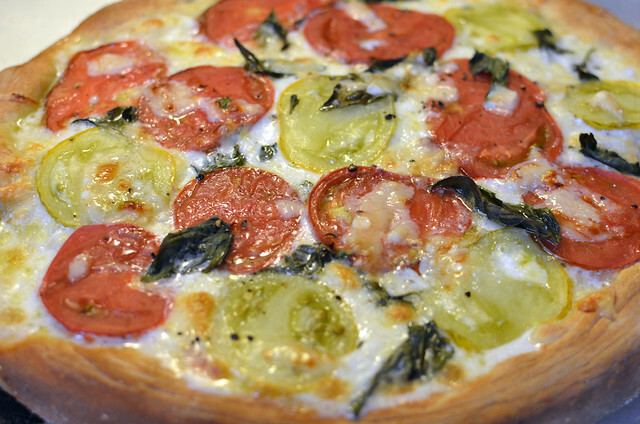 Now to the Summer Heirloom Tomato Pizza. 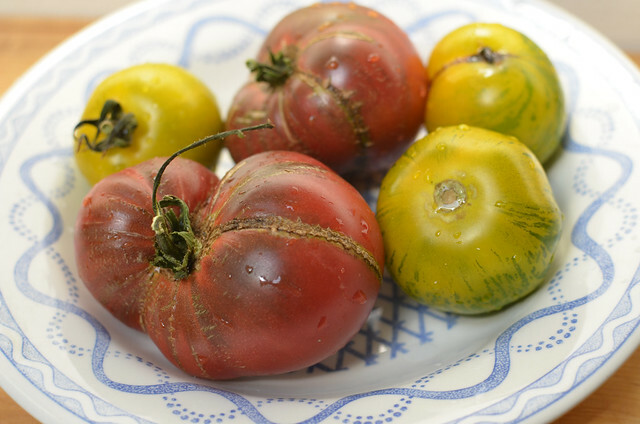 Victor grew these delicious heirloom tomatoes and gave them to me. Aren't they beautiful? 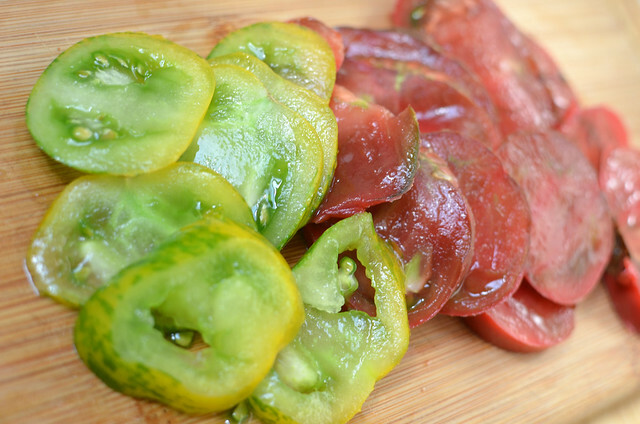 I sliced them up -- so juicy and delicious! 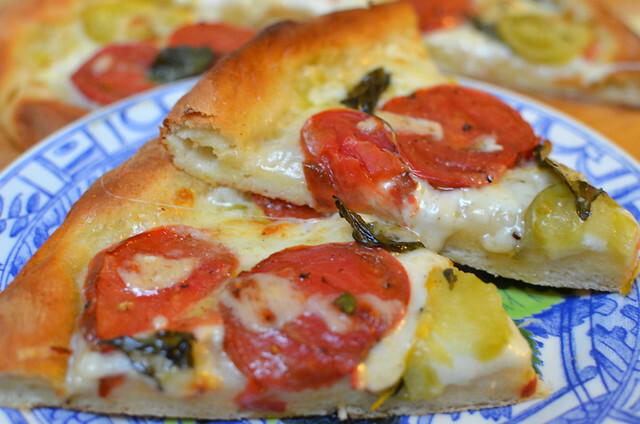 I added some fresh basil, mozzarella, parmesan, and fontana cheese. 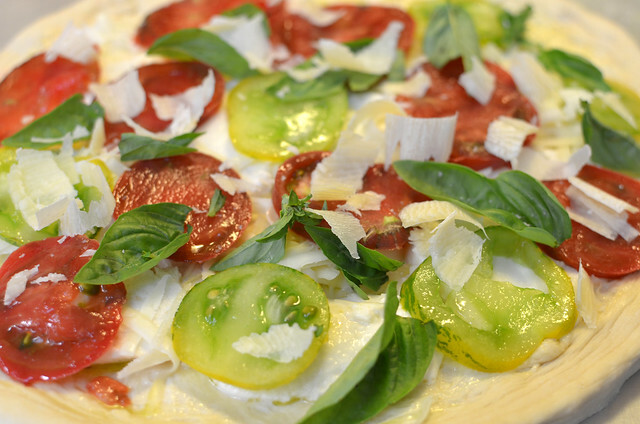 The pizza pie dough came from Whole Foods. Thanks Victor, and happy end of summer to all of you. Savor these last days!